Whether you like to turn your love for African wildlife and nature into a career or you like to immerse yourself for a selected period of time, these Wildlife Training Courses are sure to be remembered for a lifetime. A combination of real life African Bush adventures to handle anything that you might encounter and classroom studies are thought by professionals to provide you with a solid background. Reconnect to the natural world through educational and exciting and life-changing wilderness experiences. Here are details on the courses. Please see below for pricing and dates (date changes are possible so please confirm with us prior making plans). This (7/14/21 days) course is designed to provide a learning experience and incorporates certain aspects of the 28 day Safari Guide course. It is primarily aimed at those who are looking for a more in-depth bush experience, but who do not necessarily have four weeks to break away from work obligations. 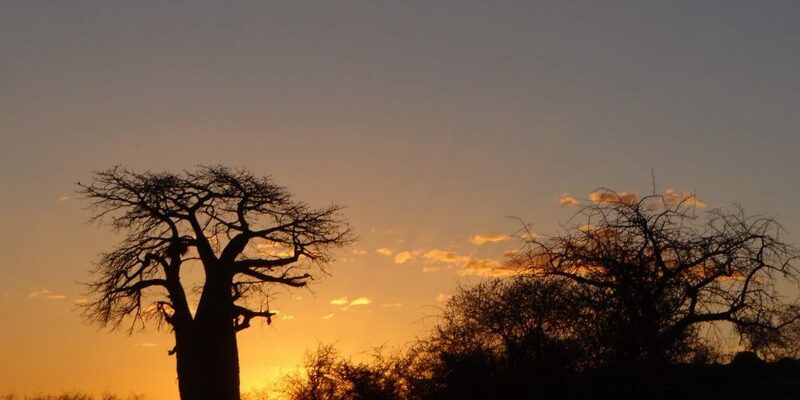 It consists of two components – learning about the fascinating large and small elements of nature and there interconnection with one another (at Makuleke, Karongwe or Mashatu) and experiencing some of the activities and daily experiences of a safari guide. If you want to unravel the mysteries of nature further at our wilderness camps in Selati, Karongwe and Mashatu Reserves, then the Tracks and Tracking (7/14 days) course is an exciting way to do it. A vast amount of information can be gathered about mammals, birds, reptiles and invertebrates without ever having seen them. Every animal leaves some indication of its presence or passing whereby it can be recognised…and then the “reconstruction” of what could have, would have and should have happened. A fascinating course. The Photography Workshop aims to reveal more of the thought processes behind the making of good wildlife photographs and at the same time gives photographers time and opportunity to put these thoughts into action in the field under the guidance of an experienced photographer. 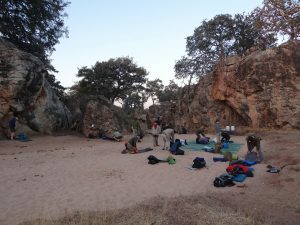 Training will take place at our un-fenced bush camps in dangerous game area, in line with the our training philosophy. With the Wilderness Trails Skills course we want to give back to the industry and conservation, introduce guides to one another and share what they have. Not only that, but also provide aspirant guides with a platform to develop the true wilderness spirit within them. Giving these guides the opportunity to be a part of the bigger wilder picture will not only rejuvenate their spirits, but in turn will wear off on their clients and help the greater cause of conservation. The 5 nights/6 days course will be spend exploring one of South Africa last true wilderness areas on foot. 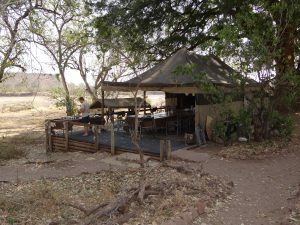 This is where our wilderness camp lies in the Makuleke concession, a 24 000 hectare concession of pristine wilderness inside the Kruger National Park. The aim of this course is to develop practical guiding skills and to expand on the FGASA Level 1 syllabus. This course is conducted in a different, wilder area and therefore provides a more authentic up close Field Guiding experience. The majority of your training time is spent exploring the wilderness on foot. This course gives grounding to conduct bush walks in big game country and boasts a strong emphasis on guiding safety, dangerous game encounters, managing animal charges and rifle handling skills. This course is FGASA accredited for both the Trails Guide Back Up and Advanced Rifle Handling qualification (both obtainable on this 28 day programme). Participants who enjoy a reasonable level of fitness are welcome to enroll. 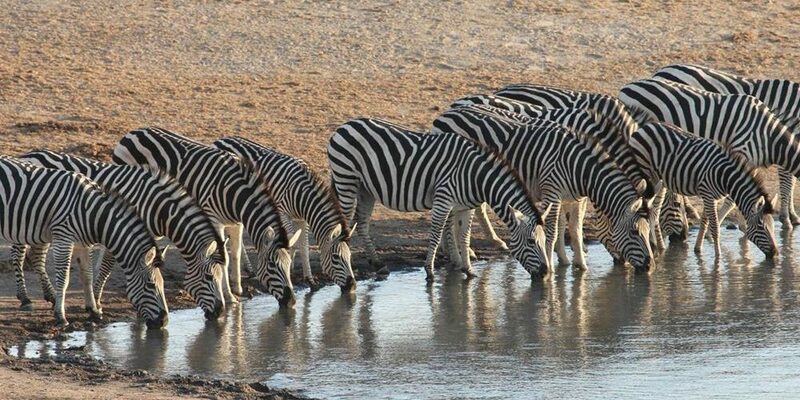 Held at four Reserves across South Africa and Botswana! We offer a one year course for participants either serious about pursuing a career in field guiding or looking for a gap year learning experience. 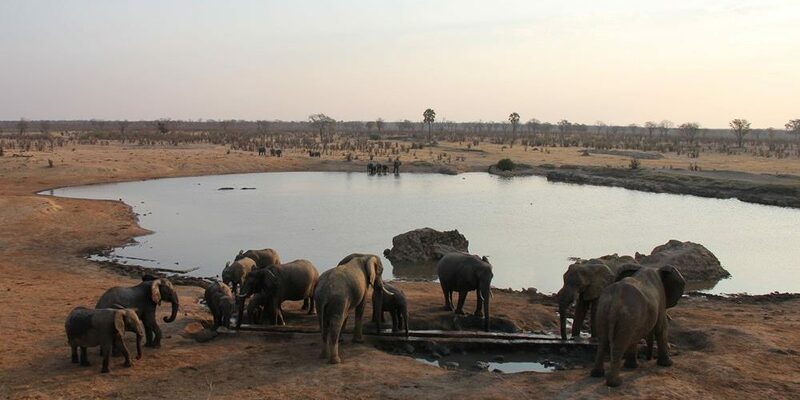 For one year you will be exposed to diverse ecological and geological terrains, landscapes, wildlife species and so much more at our wilderness camps in remote places such as the Makuleke Concession (Kruger), Karongwe Reserve, Selati Reserve and Mashatu Reserve (Botswana). Our unfenced bush camps provide a consistently stimulating environment in which to learn, supported by our highly qualified and experienced instructors, each with their own unique way of training and guiding that will enhance your overall training experience. The Professional Field Guide course comprises of 5 – 6 months intense theoretical and practical Field Guide training from our camps, followed by the Lodge Placement Programme (4 -5 months of practical experience at a reputable lodge). In South Africa and Botswana: The FGASA Field Guide Level 1 course is the entry level qualification into Field Guiding (vehicle based guiding in dangerous game area). The syllabus covers a broad spectrum of subjects including Telemetry, 4×4 Vehicle Skills (specific for game viewing), Specie Identification (plants, birds, trees etc. ), Basic Rifle Handling Skills and Tracking. We teach you basic bush survival skills and how to navigate/ orientate yourself in the wilderness. We will train you how to safely approach dangerous game on foot and how to manage dangerous game encounters with guests. We will equip you with techniques for proper binocular use and vehicle positioning for wildlife photography. This course holds FGASA accreditation. 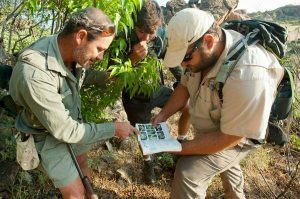 In Victoria Falls, Zimbabwe: This FGASA Field Guide Level 1 course is the same as the Field Guide Level 1 course described above, however it is the first of its kind to be held in our new training location in the Stanley and Livingstone Private Game Reserve. If you intend becoming a Field Guide or pursuing any other career within the wildlife industry, the FGASA accredited Field Guide Level One course is for you and where more exciting a place to experience this course than the wilderness of Zimbabwe. The course covers a broad spectrum of subjects in the form of daily lectures and practical activities, out in the field. Although this course forms the foundation for a career in field guiding (and many other wildlife orientated careers), many participants enroll onto this course for a gap year experience or extended bush holiday. Participants older than 18 years, holding a valid driver’s license and from all walks of life are invited to attend. This is our well-known 28 day Safari Guide training course aimed at those wishing to experience a bush holiday, whilst also learning about the environment they are in. 28 days of living and learning in nature at our wilderness camps (Selati, Karongwe, Mashatu) will provide you with practical and theoretical knowledge of this natural environment. The basis of this course was first developed in 1993 and was the first of its kind in the safari industry. It is for those that are passionate about nature, who would like a more in-depth experience and understanding of it. The knowledge you gain on this course will take your safaris and bush holidays to the next level and give them a whole new meaning. The Botswana Vehicle Nature Guide course is the equivalent of the southern African FGASA Field Guide Level 1 course. The operation in Botswana is accredited with the Botswana Qualifications Authority (BQA) to train and assess learners in Botswana against various programmes aligned to the recently launched National Guiding Qualification system under BQA in Botswana. Study, live in and experience raw contact with nature in this area of outstanding natural beauty with majestic rocks, diverse vegetation, abundant wildlife, a profusion of birds and a rich archaeological heritage that spans over 25 000 hectares of wilderness. Birding as a hobby has risen tremendously in the last decade and these days, visitors to the African wilderness areas want to do more than simply spot large game. Due to this development on the ecotourism front, we have developed our Birding in the Bush (7 days) course to get these birding enthusiasts on their way to our wilderness camps in Makuleke, Karongwe and Mashatu. This course has been designed to broaden and enrich your knowledge and skills by educating you about the fascinating world of birds. You don’t have to be a ‘twitcher’ to attend. The course is caters for those who wish to learn the basics of bird identification or improve their existing identification skills. Although there are some lectures, it is very much practical courses with hours spend out in the field learning how to successfully identify birds by both sight and sound. We are confident that any person attending our course will leave us more enriched and with greater confidence in being able to pass on the wonders and beauty of the South African birdlife to family, friends or clients. Advanced birding available as well. The Advanced Birding course has been designed to provide sufficient specialist information and training for any individual wishing to boost their bird knowledge or undertake any formal birding qualifications. Previous students who have joined this course to prepare for their Special Knowledge and Skills Birding examination have all indicated to us, that their success in their exam was due to the knowledge gained whilst attending the course. GRAB LIFE BY THE HORNS AND ACCOMPLISH THE UNUSUAL – YOU ONLY LIVE ONCE!